As a staple in this community for nearly 30 years, we recognize that housing stability and employment stability go hand in hand, so we are reaching out to our community to ask for help in achieving our mission. The women coming to us for help have faced multiple barriers and we’re able to help with many of the ones listed above, but they need the opportunity to succeed. Will you provide our women with a chance to earn some key employment skills that will also help to build their work history? York Street Project is excited to pilot a new internship program, Pathways to Success, in partnership with local businesses that would allow the women to do just that. We are seeking employers who will work with us to teach our women what it takes to secure and maintain a job. Businesses from a variety of fields – from salons to medical offices to service trades – would host an intern for 12 to 20 hours a week for a 4 to 6 month period. 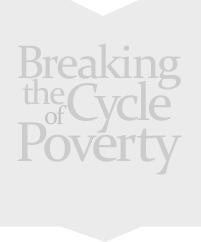 The interns would be paid $12 an hour, with York Street Project’s Donor Partners covering half of their paycheck and our Host Site Partners sponsoring the remaining half, up to $480 a month. Our women come from various circumstances and may not have had the opportunity to work long term in a professional setting. We ask for understanding that there may be a learning curve in job expectations and professionalism. We are not asking for employers to ignore mistakes or misconduct but to have grace in teaching them the skills they may need to grow and develop during their tenure. Our Career Developer will serve as a liaison between you and the employee, providing training and communication skills onsite prior to placing them with your business. We ask that you provide us with a job description outlining the type of entry level work you are providing. After identifying a potential match, we would ask you to interview the candidate to make sure it is the right fit for everyone involved. Communication would be open and candid throughout the internship period. While this arrangement is not feasible for every business, there still is opportunity to help our families. 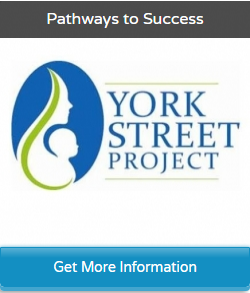 If you are unable to host an intern, but are interested in becoming a Pathways to Success Donor Partner or simply making a donation to help York Street Project provide as many opportunities to our women, please contact our Director of Development,Jennifer Mehr, at jmehr@yorkstreetproject.org or 201-451-8225. We thank you for taking the time to learn about our new initiative and your interest in helping women within the city we call home. Please do not hesitate to reach out and a happy new year to all.